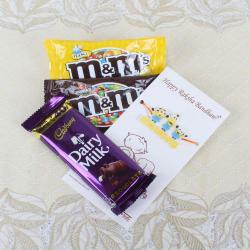 Product Consists: MnM Chocolate Pack in Peanut and Chocolate Flavors (Weight: 45 Gms) with Fruits Skittles (Weight: 55 Gms) along with Micky Mouse Rakhi. 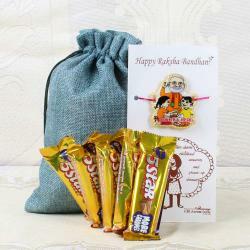 A special treat for the little angles of the family on the eve of Raksha Bandhan has goodies and a cute Mickey Mouse Rakhi. 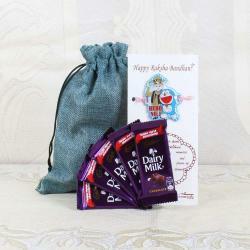 Sending gift like this will make the kids understand the importance of the rituals and will bring excitement in the learning process. The combo has packs of MnM chocolate with peanut along with fruit skittles. 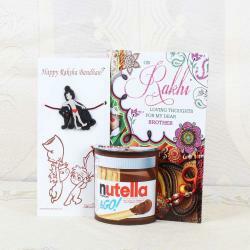 This special combo has been designed by keeping in mind the latest favorites of the kids to bring a smile on their innocent faces. Make this amazing combo be their favorite to enjoy the eve. 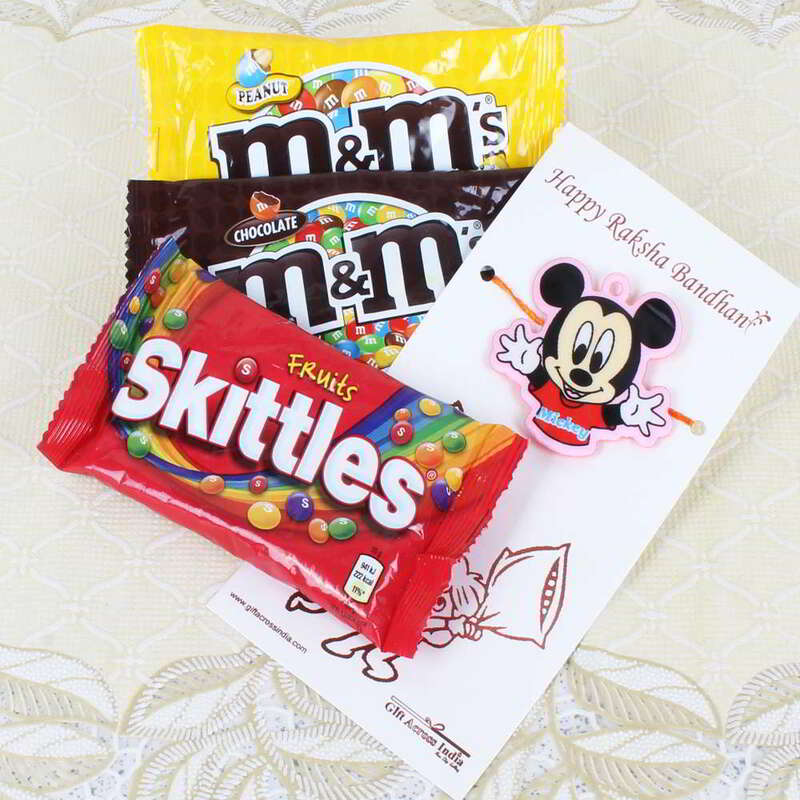 Product Consists: MnM Chocolate Pack in Peanut and Chocolate Flavors (Weight: 45 Gms) with Fruits Skittles (Weight: 55 Gms) along with Mickey Mouse Rakhi.